Will Re-Elected Obama Approve Keystone XL Pipeline? 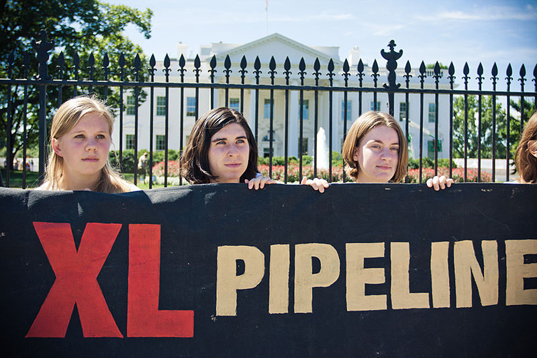 Will President Obama Approve the Keystone XL Pipeline in His Second Term? With his re-election, President Obama is faced with one of the United States’ biggest energy policy decisions – whether to approve or deny the Keystone XL pipeline, which would carry oil from the Alberta tar sands to refineries in the United States. The controversial project has been widely criticized by environmental organizations, but it is supported by congressional Republicans and industry entities. Obama rejected Keystone XL earlier this year, but some observers have suggested that he may change his stance in a second term. President Obama rejected TransCanada’s pipeline proposal in January, as concerns were raised over the environmental impact of the Keystone’s route on water supplies and sensitive landscapes in Nebraska. The company agreed to reroute the path and reapply. Obama’s final decision is expected in the first quarter of next year. However, the president has already approved the southern leg of the $7 billion Keystone XL oil pipeline, whose construction will, according to TransCanada, create 4,000 jobs at the time it gets put in service, by late 2013. 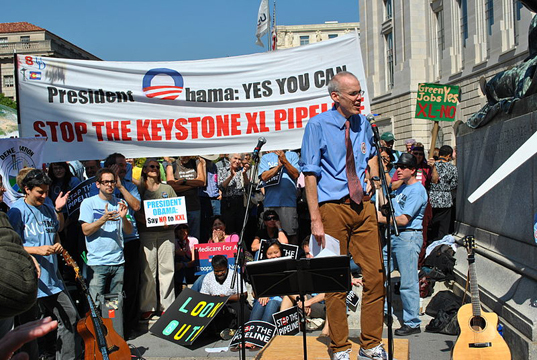 Minutes after the announcement of the US election results, environmental activist Bill McKibben has announced another Keystone protest at the White House. McKibben, founder of the group 350.org and one of the opposition leaders to the Keystone pipeline project, is part of the “Do the Math” initiative that urges universities, pension funds and other large investors to turn their interests away from oil companies and therefore prevent further extraction of oil from the ground. In his article for Rolling Stone, McKibben calculated that nearly 2,800 gigatons of carbon dioxide would be released into the atmosphere by reserves held by the world’s oil companies. With his re-election, President Obama is faced with one of the United States' biggest energy policy decisions - whether to approve or deny the Keystone XL pipeline, which would carry oil from the Alberta tar sands to refineries in the United States. The controversial project has been widely criticized by environmental organizations, but it is supported by congressional Republicans and industry entities. Obama rejected Keystone XL earlier this year, but some observers have suggested that he may change his stance in a second term.